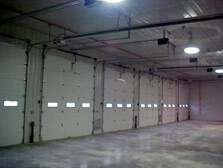 Venture One completed the construction of this new 8,200 sf fire station in Seaman, Ohio. 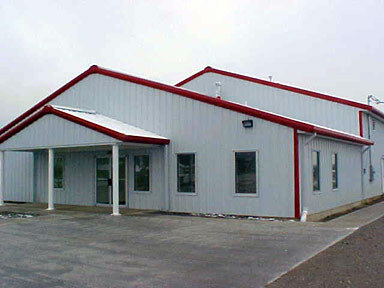 The fire station was constructed with wood structure and both exterior and interior pre-finished Kynar metal panels. The station is a combined office and multi-bay garage facility, with flexible meeting and office space. The architecture of the facility was designed and constructed to complement the local area culture. Venture One completed this 11,000 sf addition and renovations of the existing Hillsboro, Ohio municipal complex and town center, constructed in various segments since the nineteenth century. The project included complete renovation of the steel panel supported jail and wood framed sheriff's office into fully functional administrative and support office areas. Renovation work included complete replacement of doors and windows, roofing, structural, flooring, casework, and insulation repairs as necessary to completely update the existing buildings. The addition involved re-mediation of all existing fill on site, construction of a below grade mechanical/electrical area, and construction of a four level holed elevator. Steel and concrete ramps and structural framing were required to connect all levels for continuous traffic flow between the new addition and the existing buildings in the complex. All addition and renovation work was completed while maintaining the safety, security, and satisfaction of a fully inhabited municipal complex throughout the entire construction process. Exterior of new addition was designed and constructed with sensitivity to the existing architecture, including natural limestone, brick veneer, windows, cornices, columns, and balustrade system, to reflect the historical significance of the project. 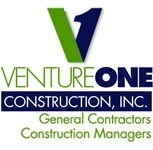 This project was the foundation of an ongoing relationship between Venture One and McCarty Associates, the project architect. Venture One completed the construction of the North Adams Public Library in Seaman, OH. The facility was 5500 square feet and it included a children's section, an adult's section and a drive through canopy for easy book returns. It took over two years of local fund raisers and donations to kick the project off. The community was overwhelmed by the start of the project and enjoyed an on time delivery of a stunning new facility. 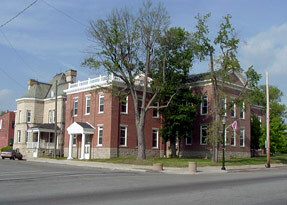 Venture One completed the renovation and expansion of an existing office building to become the Marietta Municipal Court House in Marietta, OH. 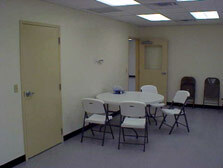 This project included the complete renovation of 14,800 square feet of office space plus a 3,200 square foot expansion with 2 new elevators, 2 court rooms, a sallyport, new lobby and offices for judges, the City Law Director and their staffs along with offices and meeting rooms for the parole department.